What sets apart mobile gaming from traditional gaming platforms is the rampant use of microtransactions by developers. Several ‘free to play’ games are rife with microtransactions that rake in millions of dollars. A recent report from Liftoff, a mobile app marketing platform, reveals who is paying more for mobile games and on which platforms. iOS users and women are much more likely to make in-app purchases than Android users and men. The report states that 21% IAP conversion rates for iOS users are nearly double that of Android users, which rest at 10.8%. 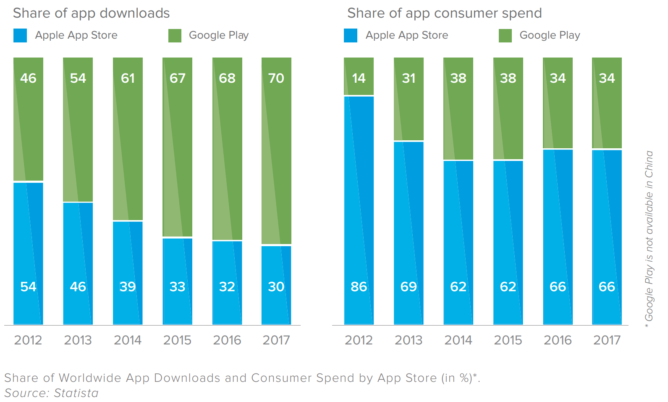 Another report by App Annie reports that Android users accounted for 70% of total app downloads in 2017, but generated only 34% of total consumer app spend. Liftoff’s data showed that IAP conversion rates for women are 26% higher than for men and that the install-to-purchase rate for women is an impressive 79% higher than for men. 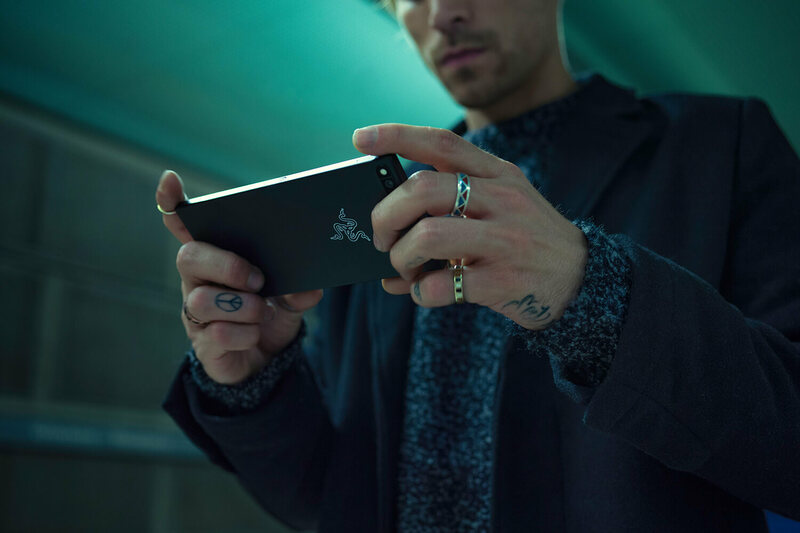 Liftoff cites games research firm Newzoo’s data showing that 52% of men and 48% of women play mobile games more than once a month. 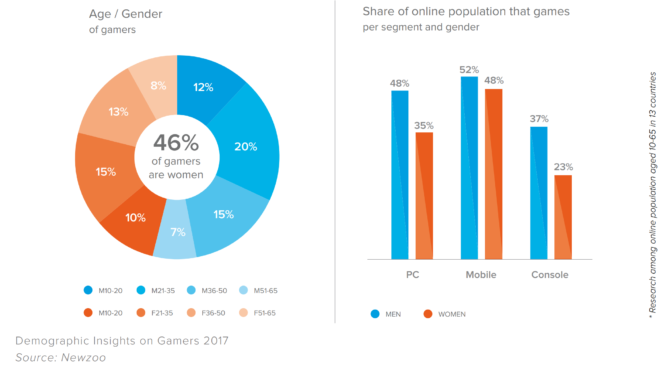 Historically, women have shied away from video games, and with the new number coming in, we can expect developers to create more women-centric content. However, it isn’t happening yet as another recent study shows that of the top 100 grossing games on Google Play, there are 44% more app icons featuring male characters than female characters and that 60% of women who play mobile games think that 30% or fewer of mobile games are made for them. The study pretty much confirms what we already know about the spending habits of users on different platforms. Time and again, iOS users have been found to spend more than their Android counterparts. Although I have strong opinions on in-app purchases, it looks like they’re here to stay and won’t go away in the foreseeable future.